Watching and taking pleasure; watching and wondering; watching and paying attention: each of these activities, and many more, make up the pleasures involved in ‘the act of watching a film’. The significance that watching films has acquired in our lives is partially suggested by Mayne’s characterization of the outcomes as ‘symbolic’ and ‘culturally significant’; it might also be expressed in Sara Ahmed’s terms: as cinema or kino rooted in movement provides emotional engagement, that moves us and creates an attachment to all future such experiences. In this essay we take the meaningful nature of the encounter between spectators and films and the attachments that are formed between viewers and cinematic screens, as the starting point for an investigation into films made with other viewing environments and experiences in mind. Our aim is to explore how and why, outside the movie theatre, on other cinematic screens, as we turn our attention intuitively to something that is familiar yet “uncanny” (Gunning 2003, 46-47) “intense and magical” (Keathley, 2006, p. 37), we still recognize and connect with cinema. Such recognitions and connections with cinema occur through what we call brief encounters, that is short moments of engagement characterized by attraction and distraction. Significantly, the word moment derives from the Latin ‘movere’ and is therefore closely related to Ahmed’s use of the word emotion (emovere, moving out). When used to describe acts of spectatorship, the moment therefore promises a particular kind of intense attachment that originates from moving in and out of the cinematic experience. Further, conceived as “an infinitely short interruption” (Friese, 2001, p. 1) that brings “epiphanic immediacy” (11), the moment ruptures our understanding of the temporal formations of film spectatorship that have been defined by the conventions and institutions of cinema for over a century. In contrast to temporal formations that presuppose sustained concentration as the dominant modality for film-viewing, in defining the moment as an epiphany and thus investing it with a plethora of emotions and associations, we view distraction as being meaningful and in fact complementary to attraction. In this essay, through an examination of other cinematic screens, our objective will be to show how momentary attachments outside the movie theatre, once recognized and theorized, significantly enlarge our understanding of the act of watching a film. As scholars working individually on two areas, first, the escape of experimental cinema from the movie theatre to the art gallery (Fowler, 2004, 2011) and second, the rise of short films produced for and viewed on smaller mobile and portable screens (Voci, 2010, 2011) we have found that our work coincides on the question of how the viewing experience might still, nevertheless, be construed as cinematic on these other screens. Admittedly, there are many ways of conceiving of the cinematic. For film history definitions have centred upon stylistic specificities, such as montage, as well as the ontology of film as a time-based medium and even a sense, as film viewing has relocated, that cinema is purely that which is shown in the movie theatre. In referring to cinematic screens here we invoke these general meanings, but more specifically we are referring to the attachments formed between viewers and screens during and then following a viewing experience. Jean-Luc Godard once said that “an image is an association” (Godard 1998, p. 190); in the context of cinema one might understand his assertion in terms of the narrative drive and linear movement that each single image submits to. Each cinematic image is an association, then, with what has gone before and what is to come in the sense of both every single viewing and a life of viewing. Yet each cinematic image is also an association because it requires a viewer, because it solicits that viewer’s attention, attempts to hold that attention and, as Bernard Stiegler puts it (when contrasting reading a book and watching a film) because: “we need only look” (Stiegler 2010, p.10). Though we examine films made to be viewed outside the movie theatre, we will insist that these examples remain cinematic because they retain (and even extend) the associational qualities of cinematic images. While our goal in this essay is less to explore discrete instances of cinematic screens beyond the movie theatre and more to offer some suggestions as to how the activities of viewing might be theorized, we feel it necessary to begin with some concrete examples of the types of objects that have been the focus of our respective research. These accounts are necessarily brief and, rather than analyzing form and content at length, will focus on describing select examples in enough detail to enable us to interrogate the different temporal formations and momentary intense attachments that they offer. We offer three examples: Isaac Julien’s multi-screen installation Ten Thousand Waves (2010) and two cell phone movies available for viewing on the Internet, Tango On The Fingers (2006) and Lonely Ballet (2008). First, turning to the art gallery, it has been noted that the past two decades of artist’s filmmaking in the gallery have been marked by a cinematic turn (Baker, 2008; McDonough, 2009). Not only have more and more artists included moving image work in their oeuvre, but also a new generation of artist filmmakers has exhibited film exclusively in the gallery, often on multiple screens as projections and installations. 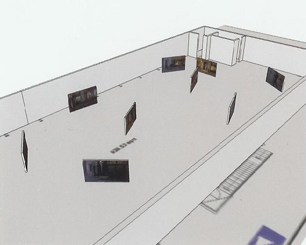 Examples of the former would include Tacita Dean (drawings, photographs and 16mm and 35mm films) Sam Taylor Wood (photographs and installations) Sharon Lockhart (photographs and films) and Douglas Gordon (sculpture, photographs and installations); while the latter would include Doug Aitken, Eija-Liisa Ahtila, Kutlug Ataman, Stan Douglas, Isaac Julien, Shirin Neshat and Steve McQueen. In the work of these and other artists we see a return to narrative, representational images and film language. Consequently, gallery films situate themselves in relation to the cinema and cinema films; they are generally shown on a flat surface (usually a screen or wall) and they use filmic codes and conventions such as narrative, deep focus, the long take and editing. Therefore knowledge of cinema, its visual history, the expectations it sets up, its mode of spectatorship and ways of making meaning are a pre-requisite to gallery films, which play with, reflect upon and challenge this knowledge. When approaching gallery films, context is as important to consider as content; this is proven by Julien’s installation, that premiered at the 2010 Sydney Biennale. For we should note, in starting, that following this première in Sydney Ten Thousand Waves has been shown in many other countries, locations and formats. Through a technique that Julien has called “versioning” the found and fictional footage that made up the nine screen installation in Sydney has been re-edited and re-combined to work as a three screen gallery film and even a shorter single screen film shown in the movie theatre (called Better Life, this premiered at the 2010 Venice Film Festival). If versioning seems to privilege a notion of the work as infinitely variable, what it also underlines is an acknowledgement on Julien’s part of how spatial locations shape temporal formations, since the rule for Ten Thousand Waves seems to be: the larger the space for exhibition, the higher the number of screens. Just as Ten Thousand Waves is dispersed across three and then nine screens, so the associations that the images produce are also spread out, and incorporate the time that a viewer spends with these installations, as well as the effects that a viewer’s embodied presence, as a perambulating visitor, has on the experience of viewing. Whether exhibited on single, triple or nine screens, Ten Thousand Waves retains key themes that are divided across discrete sections. The originating kernel that inspired Julien was the death by drowning of 23 Fujianese cockle harvesters at Morecambe Bay, North West England in 2004. Julien takes this tragic real event as a jumping off point for an exploration of journeys, colonial and post-colonial, that make up a historiographic map of migration and movements across the globe. While in Paradise Ormeros (2002) he explored Creoleness and the Carribean and in WESTERN UNION: Small Boats (2007) he explored journeys across the Mediterranean, with his latest work he turns his attention to China’s visual history. Unlike some other multi-screen installations, the order through which images appear in Ten Thousand Waves is not random. Across the full duration nine sections are evident. Each section addresses the themes in a different way and uses a different colour palette to do so. The Morecambe Bay scenes are dominated by the grey pixilated images produced by surveillance equipment, and other highly choreographed sequences of dancing bodies in water take on the same grey shades of colour. There are white scenes of Maggie Cheung enacting the legend of Yishan Island goddess Mazu, suspended over a river in Guangxi province, and of an artist painting the Chinese characters for Ten Thousand Waves on a clear sheet of glass. Maggie Cheung’s scenes of suspension are also shown in their green screen format, wires and all. Red faded Cultural Revolution footage stands out from green rural and river scenes on Yishan Island (paying homage to artist Yang Fudong’s imagery); there are brown street scenes that recreate the making of a silent film, (Wu Yonggang’s 1934 The Goddess) which portrays a mother turned to prostitution to support her child; and blue/grey scenes of Shanghai city. Given the challenges that Ten Thousand Waves poses, perhaps the most apt way to describe the experience of viewing it is to use the metaphor of the wave suggested by Julien’s title. The wave-like experience of this work encompasses both images flowing on to different screens, retreating, then returning in a different form, and soundwaves binding the experience together, through musical themes and snatches of poetry and voice-over. Sound is particularly important here, as resonances across sections often come to us through the similarity or repetition of acoustic themes, such as the sound of the helicopter’s blades that are reproduced in sounds of traffic in Shanghai. Julien’s screens pull us towards and away from each of them, as the meshing of stories unfolds, creating what he calls a kind of “ontological dissonance”. The effect brings moments of conflict, in which we feel we are missing something behind our backs or beyond our field of view, but also, since we are otherwise left to our own devices, unexpected harmonies emerge that make the immersion of our senses a highly rewarding experience. Figure 2 and 3: Different colour palettes from Ten Thousand Waves. Given the content of Ten Thousand Waves: citations from film history, the references to performers well known to art cinema audiences and the use of recognizable cinematic codes and conventions, and given also Isaac Julien’s heritage as an independent filmmaker, one might assume that Ten Thousand Waves’ inclusion in film theory and criticism was assured; but this has not been the case. Rather, the context for the work: its multi-screen format and installation in an art space have prevented a realization of the possibilities it provides for cinematic engagement. The multiplication of screens makes an account of the structure of Ten Thousand Waves difficult (as is surely Julien’s intention). As we will discuss, the shape of the experience of this installation eludes the wholeness that we seek and find in a film made for and viewed in the movie theatre. This is because Ten Thousand Waves is dis-jointed. Though it plays continuously for 49 minutes before looping, there is no linear, cause and effect narrative to guide us through. Instead, brief scenes for each section are distributed across some or all of the screens. As the sections, colour palettes and themes change, so our viewing experience is continually ruptured. Meaning and interpretation accumulates, overflows and overwhelms us. The experience of viewing Ten Thousand Waves reveals that the wholeness that we expect of a movie is not simply about the completeness of the experience, it is also about the clear delineation of the beginning and the end (and all that happens in-between). We will return to Ten Thousand Waves later, for now we want to introduce our second concrete examples, Tango On The Fingers and Lonely Ballet, two portable movies made by Chinese amateurs. Portable movies are generally freely circulating (i.e., shared rather than purchased) and almost exclusively targeting transient –online or on-phone– audiences. In particular, mobile-made and viewed movies often emphasize portability, playfulness, connectivity, and sharing as their main defining elements. Portable movies are characterised by lightness (Voci, 2010) because of their ruptures with the heavy (that is solidified, endorsed by commercial and academic entities) institutions of cinema with which they partly intersect, but from which they also escape. They are light also because they mostly involve solo-producers and solo-viewers, are produced at almost no cost and are freely shared; thus, they also resist both industrial structures and mass discourses. Of most relevance for our discussion of the moment, lightness also points to a brief and exhibitionist (Gunning, 1990) modality of film making and viewing that presupposes a transient spectator who does not expect to be absorbed, but rather momentarily attracted. Like the early cinema of attractions, portable movies capture their audiences’ attention for relatively short durations. Portable movies’ momentary and intense encounters with cinema also suggest the possibility of a profane illumination in which the aesthetic dimension is no longer associated with the elitist conceptualization of works of art, and aura is therefore redeemed in Walter Benjamin’s utopian sense (Benjamin, 2008). Via his notion of non-sensuous similarity, Benjamin recuperates aura and frees it from aestheticism so that it can be reconciled with the everyday. Since portable movies’ everyday aesthetic experience does not stem from concentration but from a momentary and intense recognition of the uncanny and the evocative memory of the magical attraction of cinema, it shares the opaque, non representational, evocative and illusionary qualities of Benjamin’s non-sensuous similarity. While a discussion of the auratic gaze in relation to portable movies is beyond the scope of this essay, Benjamin’s non-sensuous similarity allows us to better understand light portable movies’ momentary engagement with both the film object and the spectator as a deep ‘“epiphanic immediacy” (Friese 2001, 11) which, we argue, defines our recognition of and attachment to cinema. The non-institutionalized and light portable movies differ in many respects from gallery films, which, as we have seen through the example of Ten Thousand Waves, circulate in the institutionalized world of art exhibits. However, much like gallery films, portable movies very consciously seek to produce a renewed film viewing experience. For instance, an analysis of the symbolic structure of the short movies that took part in the (Shanghai-based), online Metroer Cellflix Festival shows their link with both conventional film narratives and more avant-garde exhibitionist practices. Furthermore, the amateur videomakers, in their blogs or in other online fora, openly proclaim their personal attachment to cinema through direct references to its history, its genres, and its auteurs. Kftoe’ s Tango On The Fingers (sic, no Chinese title) is one example of such portable movies. The movie took part in and won the 2006 Metroer Cellflix Festival (the first online mobile movie competition to take place in China). 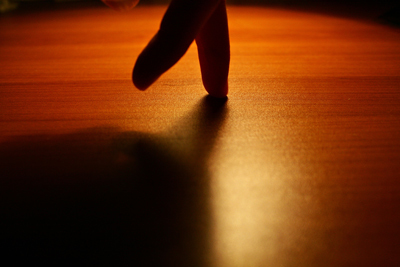 It is a surreal dance of two fingers and their long shadows on a table, accompanied by the notes of a tango. The video is only 31 seconds long; it is a one-take shot that has no pretense of suggesting any meaning other than what the title itself describes. Yet in its simplicity and ingenuity (neither camera manipulation nor post-production editing were used to achieve the surreal effect), Tango On The Fingers undoubtedly offers a brief but nonetheless meaningful visual pleasure, based entirely on the poetic, musical, and performative art of tango. Given its brevity, it is easy enough to understand Tango On The Fingers in terms of the moment that we introduced above. What is more, it can be described as a movie that is also about a cinematic moment that has been extracted for us to enjoy, for as Kftoe’s reveals in an interview (Voci 2010, p. 93), his movie is inspired by the film Scent of a Woman (most likely the 1992 American remake directed by Martin Brest, rather than the original Italian Profumo di Donna, 1974, directed by Dino Risi). As a remembrance of a moment extracted from film viewing Tango On The Fingers strikingly coheres with the kind of cinephiliac moment explored by Christian Keathley in his book on cinephilia. It is meaningful both for the maker and for the spectator who becomes attached to it. Slightly longer (71 seconds) and more fragmented, though equally evocative and open-ended is Lonely Ballet, (Gudan balei 孤单芭蕾, Anonymous), which deals with the trope of old age and the fading memory of lost loved ones. Once again sound is important, as the movie is given pace through, first, the soundtrack of the song Jardin d’hiver (by Keren Ann, sung by Henry Salvador, 2000) and, second, a music box tune. 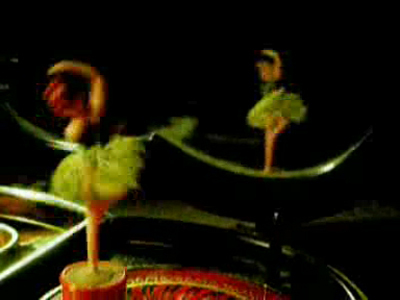 A series of recurring shots are shown: an expressionless old man sitting on a bench, the same old man also sitting in a dark room and a ballerina spinning in a music box. The shots are juxtaposed and intercut with a grey screen, which interrupts both the flow of images and the soundtrack. The grey screen metaphorically translates the old man’s memory into the grainy, buzzing sound of an analogue video, instead of the bright blue screen that characterizes the digital camera’s video screen. 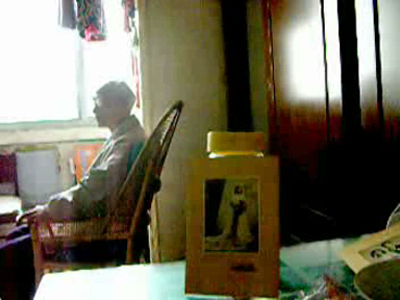 The simple but effective opposition displayed by the contrasting speed of the music box’s spinning ballerina and the immobility of the old man is suspended, rather than resolved, in a medium shot of an old picture of a woman in a wedding dress, in the foreground, and the window by which the old man still sits, on the background. The movie concludes with the blurring image of the music box’s platform base still spinning, followed by one last shot of the old man on the bench. Lonely Ballet shrinks what Ingmar Bergman expands in his films, but still deals with Bergman’s preferred themes. In its condensed brevity, this auteur/amateur production also evokes desire and mortality as the defining traits of the human condition. Tango On The Fingers’ and Lonely Ballet’s fragmented formats and condensed structures capture our attention and engage us in ways that are indeed both similar but also distinct from large screen viewing in the movie theatre. The act of watching portable movies relies on viewers’ individual, selective appropriation of film fragments and their complementary oscillations between distraction and attraction. As we become momentarily captured by Tango or Lonely Ballet’s evocative re-creations of cinematic (and cinephiliac) moments, “film steps into our lives” (Keathley, 2006, p. 152). As our brief accounts have shown, Ten Thousand Waves, Tango On The Fingers and Lonely Ballet are structured differently from films made for the movie theatre and their spectators therefore need to be understood and theorized differently. In contrast to conventional movies then, these examples found on other cinematic screens take the form of brief encounters that are characterized by moments of attraction and distraction. If Julien’s work denies us wholeness, then these portable movies present us with condensed structures. In all cases, they potentially promise intense attachments for brief moments. Also, the fabric of the time we spend with gallery films or portable movies is interwoven with more than one activity. In our examples our attention is attracted and we recognize their images as, at base, belonging to cinema’s image-bank. However, what follows this initial attraction and recognition is less easily defined. In the case of Ten Thousand Waves viewers may wander between and around screens and thereby create their own experience; in the case of Tango and Lonely Ballet viewers may download the clip to watch later or view it in-between other “doings” such as sending an email, searching the web or getting on with daily activities. In fact, the interstitial nature of both our examples is what partly dictates their brevity; as Julien’s installation jostles for attention in the bienniale or museum and these portable movies must fight for space amongst the image storm of online media. We are well aware of the institutional, formal, aesthetic, and experiential differences between these examples of gallery films and portable movies. Accordingly, each addresses a different kind of audience, draws from different formal and aesthetic codes and conventions and positions maker and audience in very different relations. We will explore these differences more later, for the moment we want to make two observations as to what unites these examples. First, because they offer cinematic experiences (driven by associational images) they constitute examples of what we call other cinematic screens, a term which we use to differentiate cinema from the plethora of other cultural and social practices that inhabit the proliferating screens that surround us. Taking our first example, gallery films: improvements in the accessibility and quality of digital video and new media have produced an increase in screen-based artworks; yet not all of what is created provides the cinematic attachments that concern us here. Similarly, taking our second example, short movies created for small screen viewing: when we post on Facebook or write an email, we may be looking at the same computer and mobile screen on which we view films such as Tango or Lonely Ballet but, we argue, our engagement with the screen in these instances also does not produce a cinematic attachment. We should also make it clear that we are not concerned in this essay with cinema either as a “distributed phenomenon” that continues “beyond the theatre to the DVD, the videogame, the soundtrack, the website and so forth” (Grusin 2007, p. 214 qtd in Bennett and Brown 2008, p. 6) or as a relocated phenomenon, through which films made for the movie theatre are watched elsewhere, as DVDs at home on television, as downloaded files on computers and cell phones or once again as projected films, in the public spaces provided by outdoor screenings. In the case of these two phenomena the connection between cinema and the movie theatre is relatively self-evident, as movies have spread out or moved from one place to another, but neither the product nor the mode of consumption have changed. In distinction from this work on cinema as distributed or relocated, our examples configure both cinema and our encounter with it differently. They can be said to embody several levels of change and, possibly, indicate a true point of ‘rupture’ from the institution of cinema (Gaudreault, 2006). The second observation we want to make also comes from the different spatial locations for which they have been made and in which they are viewed; that is, that the structures of the viewing experiences they offer differ significantly from Mayne’s seemingly innocuous phrase: “watching a film”. For watching is a term that suggests that we give over our look and focus our attention for a homogenous period of time. Watching a film requires more than a casual glance (or it would be television), but less than a lengthy stare (or it might be a computer game). Whilst the act of watching may be made up of temporary moments – of involvement, of anticipation, of excitement and/or enjoyment, a film lasts for longer than a moment; it fills a continuous and homogenous length of time. As our brief descriptions have made evident, although they may leave lasting impressions on their viewers, we do not watch Ten Thousand Waves and Tango On The Fingers or Lonely Ballet as we watch a film in a movie theatre. Stiegler’s observation is made in his third book from his lengthy study of what he calls “technics and time”. In this book he extends his analysis of the industrialization of memory that has come about from the “industrial temporal objects” (p. 1) of radio and television to the cinema, or more specifically, cinematic time. Stiegler borrows from Husserl, who used the correlation between consciousness and a melody in order to analyse the phenomenological conditions of consciousness as a structure of flux: “A melody is a temporal object in the sense that it is constituted only in its duration” (p. 13). As should be evident in the quote above, radio, television and cinema are interesting to Stiegler because of the coincidence that occurs between the spectator’s or listener’s consciousness and the object’s flow. For Stiegler, cinema can be distinguished from other media, however, through its capacity to achieve a kind of “unconscious consciousness” (p. 11). Stiegler uses this phrase to capture, first, the way in which cinematic images will “attract our attention,” second, the way in which we become “immersed in the time of their flowing forth” and “[lose] ourselves …[lose] track of time” (p. 10) and, third, the fact that “we will have conjoined our time” (p. 10) with that of the fictional characters. Mayne’s and Stiegler’s characterizations of movies reveal that the greatest challenge offered by our examples to conceptions of spectatorship is that, because they were created for different spatial locations, they have different temporal formations. Stiegler’s description of cinematic time may seem very familiar to film scholars, with the emphasis that it places upon the suspension of disbelief and the effects of suturing and illusionist techniques, however what Stiegler adds to these accounts of spectatorship, and the reason that we bring him in here, is his thesis that the act of watching a film is constituted temporally and spatially: in terms of a time and space in which we are able to lose ourselves. In our determination to claim that those objects we study are still cinematic we propose that by rupturing the temporal formations generally associated with cinema and developing a different, intense and momentary attachment with cinema, they also offer an alternative model for spectatorship. We have declared an interest in how viewers might form intense attachments to screens outside the movie theatre and we have argued that in such cases the notion of the moment might be used to understand the different temporal formations of our examples. In order to understand the challenge that the moment poses to models of spectatorship, we will examine two pre-existing analytical models for film viewing, before sketching the contours of a third that might adequately account for the activities of film viewing outside the movie theatre. The first model to be examined is the dominant one, of spectatorship in the movie theatre. We will call this model introverted since analysis has focused upon theoretical subjects (Mulvey, 1975; Baudry, 1974; Metz, 1976) rather than actual viewers (who will be discussed as part of our second model). In this first model the film dominates: it is larger than us, and we surrender to its duration (staying until it has finished) and abandon material reality (sitting still in seats provided). Both the substitution of one screen for many of Julien’s installation and the ability to hold the film in one’s hands provided by portable movies immediately disrupt the rules of this model as, like Alice in Wonderland, we find ourselves either much bigger or much smaller than we used to be and, like Alice, we experience the wonder of seeing the familiar (cinema) in a new dis-ordered context. To return to the architecture of the movie theatre, the giant screen requires that we lift our eyes, and this can be seen as a kind of revered gaze. As Alison Griffiths explains, the revered gaze, deriving from the visual appreciation of the religious art above us in cathedrals, marks the viewing experience as being “pre- and over determined by wonder and awe”. (Griffith 2008, p. 16) With our two examples we look up (gallery films) and down (portable movies), but, as we will explore, we also look around, disengaging and re-engaging, and this less focused opticality blurs the strict division between immobile viewer and mobile images discussed by Anne Friedberg (Friedberg, 2006). In our examples the viewing experience is constantly interrupted, whether through the dis-jointed structure and constant switching of screens that scatters our attention in Julien’s work or through the capacity for hyperactivity produced by mobile or connected screens. By contrast, to ensure that the revered gaze is un-interrupted, the movie theatre operates only in darkness. The darkness of the movie theatre has several other purposes, first, it de-contextualises and de-materialises the viewing experience so that the framed realities become our realities. Second, and more importantly, the darkness combines with formal and aesthetic aspects of films shown there to produce the movie theatre as an institutional mode of attention, or, as Noël Burch might have it, an IMA (Burch and Brewster, 1990). Burch’s characterization of the development from primitive cinema to what follows in terms of the development of an institutional mode of representation (IMR) is well known. We propose that, almost a century later, it is attention rather than representation that has become institutionalized in the movie theatre. The IMA therefore poses the main barrier to theorizing the nature of our encounters with gallery films and portable movies as cinematic. The development of theory from IMR to IMA can be accomplished by adding Jonathan Crary’s work on modes of attention to Burch’s original model. In his book The suspensions of perception Crary attempts to articulate the spectrum of activities that the notion of attention encompasses (Crary, 2001). On the one hand he identifies “institutional modes” of attention and on the other hand “nomadic modes”. The fact that one has to work at the first is apparent from the language he uses to describe their activities which include: “a narrowing and focusing of conscious awareness” as well as “an activity of exclusion, of rendering parts of a perceptual field unperceived” (24-25). By contrast, the second nomadic mode of attention comes about due to the relinquishing of these control mechanisms (which is not to say that it doesn’t also require work), it includes activities such as “distraction, reverie, dissociation, trance” (46) and might also involve “dangerously absorbed or diverted attention” (47). Spectators can and do space out daydream and disengage, equally experimental film forms have often aimed to produce nomadic modes of attention, yet the fact is that the apparatus of the movie theatre has been designed to encourage the institutional mode of attention that Crary outlines above. Clearly then, the darkness combines with the bright screen, which in turn combines with IMR stylistic conventions of cinematic framing and continuity editing to encourage the “narrowing and focusing” that define institutional modes of attention. When it comes to reading cinema through Crary’s models a link is provided by the fact that, as Stiegler puts it, there is a: “coincidence between the film’s flow and that of the film spectator’s consciousness” (12). We can go so far as to suggest that it is the movie theater’s status as an IMA that has prevented scholars from looking for films outside this sacred space. For it is as if attention or, as discussed earlier, watching cannot be conceived of elsewhere. Outside the movie theatre, film viewing is deemed to be subject to interruptions, and distractions, in competition with other media, non-linear, and therefore no longer a properly temporal object. As our examples have shown, when viewing gallery films and/or portable movies we may experience any or all of the above. Consequently our attention is not narrowed onto one screen, it is dispersed across many screens and it is not focused for a great length of time, instead it is engaged and then dis-engaged in an instant. Yet, curiously, our engagement with the moment can be as intense and as moving as this more lengthy engagement that we have come to associate with the movie theatre. The second model for film viewing is less singular than the first and, like our examples, does not require the same focusing. With analysis centering on audiences, users, fans and consumers outside the movie theatre, it can be called extroverted since it is less about the thoughts and feeling produced by watching a film and more about connecting viewing to physical and social environments. As discussed, the movie theatre and the IMA that has been associated with it both presuppose a type of attention that lasts continuously, for a significant length of time, and resists – or at least aims at reducing – interferences and distractions. Consequently, outside the movie theatre the spectator has generally been theorized as multi-tasking, possibly more distracted, and, in any event, significantly busier doing than s/he was in the movie theatre, where doings prioritize intellectual and sensory responses (Casetti, 2011a). Outside the movie theatre, spectators have been theorized as not just active viewers but also as interactive and creative fans. Neither gallery films nor portable movies really fit with descriptions of extroverted viewing practices, even though they too have, in the main, focused on what happens outside the movie theatre. Cultural studies’ emphasis on audience ethnography addresses the real viewer rather than the theoretical spectator, (Ang, 1991; Fiske, 1994; Ang, 1996; Moran, 2002) and the inclusion of fandom and participatory culture in academic discourse (Jenkins,1992; Lancaster, 2001; Hills, 2002; Jancovich et al., 2003; Jenkins, 2006) has challenged hierarchies between makers and viewers. For example, scholars have demonstrated that, while big media conglomerates retain a dominant position in the making and marketing of the movies, viewers’ doings have effectively changed cultural and economic hierarchies that had previously relied on the passive viewer or the easily persuaded consumer model. The popular notion of media convergence (Jenkins, 2004) rightly captures the complexity, simultaneity, and interrelated nature of our active engagement with media. In the participatory culture model (Jenkins), all viewing  is understood as meaningful and hierarchies of creative productions are challenged. Long and short term, professional and amateur, concentrated and distracted engagements are all equally significant parts of our media experience. We view/read emails, blogs, Facebook posting, twits, YouTube movies, news, etc; and, in turn, we generate our own media contributions. In the specific context of cinema, this second model effectively centres upon and explores how film viewing inspires certain behaviours (those of the fan, cult, consumer, media participant). It is therefore also implicitly interested in cinematic attachments and offers less resistance to the theorization of momentary attachments as meaningful media experiences. However, given its focus on the media experience as a whole, this model does not sufficiently take into account the existence of different types of viewing within such arenas of broader engagement with media. In this extroverted model, the ontology of viewing is subordinated to the social and cultural formations that are involved in our media doings. We propose that a focus on the different temporal formations that other cinematic screens involve can help us theorize screen attachments outside the movie theatre. Rather than introverted models, where the film dominates over the viewer, or extroverted models, where the viewer dominates over the film, our two examples require recognition of the ambiverted nature of our brief encounters. For in our encounters with art gallery films or portable movies we are turned both inside and out. In our encounters we may engage on intellectual, sensual and reflective levels with our films but we do not lose our awareness of our surroundings; so interruptions and interference are a key part of the temporal formation of the viewing experience. Therefore, for these other cinematic screens, the ‘threads of time’ to which Stiegler refers are threads that inter-weave attraction and distraction, focused attention and scattered attention, moments where we are captured and moments where we look elsewhere and attend to other things. These elements are consistent across our examples. In looking for a different model through which to theorise how screen attachments are formed with these other cinematic screens, we might begin with an example from Kristin Gorton (Gorton, 2009). Like us, Kristin Gorton seeks a way to re-think the activities of viewing once outside the movie theatre, but her focus is television. More specifically, tying in with our work, she is interested in examining how (contrary to the received theories of the aesthetics of television as inviting a casual glance and the programming of broadcasting as prompting us to merely use television to mark time), if both the aesthetics of and temporal formations for television are conceived of differently, it is possible to identify emotional engagement with or attachment to television programs. Gorton outlines two influences that bolstered her thesis. First, from Sara Ahmed’s work on emotion in culture, the notion that orientation (used by Ahmed in terms of sexuality) strongly affects how we engage with and experience the world. Gorton takes this idea and points out that the stances we assume in relation to television viewing, for example, curled up alone on a sofa, watching a portable tv set while cooking family dinner, or gathered together with friends for our weekly helping of our favourite series, will all affect the demands we make on viewing and the pleasures we get out of it. Ahmed’s notion of orientation extends to our examples and our previous discussion of how new spatial locations affect their temporal formations. For the spaces in which we encounter them also regulate the temporal formations of our examples. In the case of Ten Thousand Waves, the different versions of this work respond to the different spaces in which viewers would encounter it. 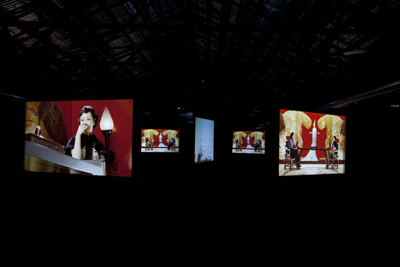 In a film festival Julien edits for a single screen, whereas in a discrete art gallery he triples his screens and, finally, in the massive space of the Sydney biennale he creates his nine screen extravaganza. In a similar, though slightly different way, Tango and Lonely Ballet have to be found and extracted from the endless stream of portable movies available on our computers and mobile media. Gorton quotes Ahmed as saying: “to be oriented is also to be turned toward certain objects, those that help us to find our way … They might be landmarks or other familiar signs that give us our anchoring points” (Ahmed qtd in Gorton 2006, 1). Two points follow from Ahmed and Gorton’s observations. First, our willingness to engage with our attitudes as cinematic experiences is not ensured in the other environments in which we find them. Second, and perhaps mitigating against this, orientation toward them is encouraged by the fact that Ten Thousand Waves and Tango and Lonely Ballet were made for these other cinematic screens, and for viewers who would be moving around and might spend only brief amounts of time with them. Thus we would argue that possibilities for attachment are built in to their form and content. Gorton’s second influence is even more appropriate for our examples, since it involves a discussion of the moment. Citing the work of S. Elizabeth Bird, Gorton attempts to find a way to counter discussions of television that see it as an endless (by extension meaningless), flow. Bird’s retort to this view is that: “The images and messages wash over us, but most leave little trace, unless they resonate, even for a moment, with something in our personal or cultural experience” (Bird 2003, p. 2). Gorton concludes that these moments of resonance might “signal an emotional engagement with television” (Gorton 2009, p. viii). In our descriptions of our brief encounters, what we have tried to highlight is precisely the resonating moments that stand out and are imprinted on our memories. Moreover, what they resonate with are our remembrances of cinema, our internalisation of its formal and aesthetic structures, our experience of previous engagements and our capacity to connect with moving images on emotional, intellectual and physical levels at the same time. Consideration of Gorton’s work on television provides one further example of how attachments might be formed outside of the movie theatre. Her work illustrates the fact that if scholars shift their focus from the doings in which we – as active and participatory users in the age of media convergence – undoubtedly engage before, after and even possibly at the same time as we are watching a film, and we reflect on how each of us can in fact engage in different types of viewing, we can better understand our attachment to cinema once it is no longer contained by the movie theatre. Our proposition is that film creates a different type of attachment from other visual media that are more solidly located in our familiar everyday. To Ahmed’s and Gorton’s prognosis of attachments to television as creating “a sense of connectedness and belonging” (Gorton 2009, 94) we want to add our own convictions that on other cinematic screens physical, as well as intellectual and emotional connections, are developed. When we pause to view Ten Thousand Waves or Tango On The Fingers, for a moment our vision is rewarded with powerfully pleasurable and intensely cinematic experiences. In the midst of other artistic or daily and familiar media doings: finding our way through an art exhibition, sending a text or answering emails, something out of place and uncanny has attracted our attention. As discussed above, there are ways in which we might orient ourselves to these cinematic experiences (seeking them out, giving them time, reading the accompanying texts in Julien’s case or checking out portable movie amateur producers’ blogs) yet, our examples do not take this orientation for granted; and to compensate they anticipate our dis-orientation in their capacity for momentary engagements. As a starting point, they attract our attention by offering us the uncanny (Gunning, 2003). It is not in the new technology that our attraction originates. Rather, part of our attraction to these gallery films and portable movies is the intuition that through our brief encounters we are re-experiencing the old cinema in a new setting. This perception of the uncanny is based on the (possibly unconscious) realization that we are witnessing the “renewing of an old technology” (Gunning, 2003) and our surprise and critical response is not about gallery films or portable movies themselves as new media, but rather about the possibilities that the transmigration of cinema into new media and new spaces evokes; this is what Gunning defines as “the prophetic nature of new technologies” (p. 56). Thus: we know that cinema continues and will continue to be (in yet to be imagined forms) because we recognize it in this new dis-orderly form. However, our attachments do not only relate to our recognition of cinema as a renewed old technological medium, but also to cinema as a renewed text. In this sense our examples may evoke dominant narrative cinema but do so only to break it into fragments and invite us to experience it in intense and brief moments. It is here that gallery films and portable movies part company, showing their differences. For as discussed above, Ten Thousand Waves is made by a well known highly successful artist, has a full duration of 49 minutes, is encountered in an art gallery context and is constituted of nine large screens, while Tango On The Fingers and Lonely Ballet are made by amateur videomakers, hover around the minute mark, can be viewed on phones or computers in many places and engage with small screens. Given these differences, the momentary attachments that they offer are configured differently, in terms of a kind of scattered engagement for the former and in terms of an intense moment for the latter. Furthermore, the grounds for the exclusion of gallery films and portable movies from film scholarship are also different. The filmic content of Ten Thousand Waves suggests connections to film history, yet the context for the work: its multi-screen format, and installation in an art space, create temporal formations that lack the wholeness that defines the act of watching a film in the movie theatre. Similarly Tango On The Fingers and Lonely Ballet pay homage to existing popular films and make use of film language, yet, existing as they do on the proliferating screens that have become our “daily lens” (Friedberg, 2006), they have not been recognized as aesthetic experiences. Beyond the “motherland” (Casetti 2011a) temporal formations change, however, we can still develop a different —we have argued, intensely cinematic — attachment to cinema. Cinema, as kino (movement), is rooted in the idea of motion, and our attachment to cinema similarly never leaves us still (passive) but always moves us and inspires our emotional and intellectual responses. In the moment we respond to the evocative and associational quality of cinema (rather than its representational, mimetic nature). Effectively, then, we experience cinema as a kind of Proustian madeleine: we recognize cinema as an intensely tangible and yet opaque presence, and we are also magically and powerfully lost in it. This encounter, however, does not simply bring back the past. In our epiphanic experience of cinema through a momentary attachment, the madeleine reminds us of both the loss of cinema’s past and its continuation in an uncannily and opaquely similar, renewed context. In discussing a small percentage of film work found on other cinematic screens we hope to have shown how viewers can become attached in cinematic ways. This is important because, as discussed, cinematic attachments combine the movements of kino and emotion (emovere); they therefore invite a particular kind of intense engagement from the viewer that invests the screen with emotions and associations. The moments of engagement we have discussed, rooted again in a kind of movement (as movere), add a further layer of intensity to the cinematic. Our work here contributes in three ways to discussions of how cinema (or the cinematic) is changed once it leaves the movie theatre. First, acknowledgement of these momentary screen attachments reminds us that all screens experiences are not created equal. Second, our understanding of the “act of watching a film” is changed; for the different spatial locations and temporal formations of our examples make watching at length and in isolation from other media and screen content impossible and even undesirable. Viewing is therefore ambiverted, yet does not lose the centrality of the attachment between viewer and images. Third and finally, what characterizes the screen attachments on which we have focused our scholarly reflection is, paraphrasing Gaudreault, the possibility they offer for the development of a new order; or, to be more precise, a dis-order that challenges the dominant order that the institution of cinema has developed over more than a century. This disorder springs from the fact that the product has changed, as from the very beginning our examples were conceived and then created to be viewed on other screens that exist outside the movie theatre. Furthermore, the mode of consumption has also changed, as Ten Thousand Waves and Tango on the Fingers were made with the knowledge that they would have to fight for the attention of their viewers (who are immersed in either other artworks or other media) and that those viewers would have only a short amount of time to spend with them. Because of these changes in production and consumption, new models – beyond the two we have discussed that have been developed for understanding cinema spectators, media users, fans and consumers – are needed to explain the cinematic attachments that we have experienced in our brief encounters with these other screens. In this essay we have tentatively sketched one such model that takes into account the short, intense moments of engagement of our examples, and the consequent attractions and distractions that are woven together. In so doing we hope that the cinematic might be recognised on the other screens that surround us, renewing itself, evoking its past incarnations and allowing us to imagine its future. Ang, I., 1991. Desperately Seeking the Audience. London; New York: Routledge. Ang, I., 1996. Living Room Wars: Rethinking Media Audiences for a Postmodern World. London; New York: Routledge. Baker, G., 2008. Photography’s Expanded Field. In K. Beckman & J. Ma, eds. Still Moving. Durham: Duke University Press, pp. 175-188. Benjamin, W., 2008. The Work of Art in the Age of its Technological Reproducibility. In M. Jennings, and T. Levin eds. The work of art in the age of its technological reproducibility and other writings on media. Harvard University Press, pp. 19-45. Bird, S.E., 2003. The audience in everyday life: living in a media world. New York: Routledge. Burch, N. & Brewster, B., 1990. Life to those shadows. London: BFI Publishing. Casetti, F., 2008. Eye of the century: film, experience, modernity. New York: Columbia University Press. Casetti, F., 2011a. Back to the motherland: the film theatre in the postmedia age. Screen, 52(1), pp. 1-12. Crary, J., 2001. Suspensions of perception: attention, spectacle, and modern culture. 1st MIT Press pbk. ed. Cambridge, Mass. : MIT Press. Fiske, J., 1994. Media matters: everyday culture and political change. Minneapolis, Minn.: University of Minnesota Press. Fowler, C., 2004. Room for experiment: gallery films and vertical time from Maya Deren to Eija Liisa Ahtila. Screen, 45(4), pp. 324-343. Fowler, C., 2011. Remembering cinema elsewhere: introspections and circumspection in the gallery films. Cinema Journal, 2(51), Forthcoming. Friedberg, A., 2006. The virtual window: from Alberti to Microsoft. Cambridge, Mass. : MIT Press. Friese, H., 2001. Introduction In: H. Friese, ed. The moment: time and rupture in modern thought. Liverpool: Liverpool University Press, pp. 1-15. Gaudreault, A., 2006. From “primitive cinema” to “kine-attractography”. In: W. Strauven, ed. The cinema of attraction reloaded. Amsterdam: Amsterdam University Press, pp. 85-104. Godard, J.L., 1998. Interview with Gavin Smith In: D. Sterritt, ed. Jean-Luc Godard: interviews. University of Mississippi, pp. 179-193. Gorton, K., 2009. Media audiences: television, meaning and emotion. Edinburgh: Edinburgh University Press. Gunning, T., 1990. The cinema of attractions: early film, its spectator and the avant-garde. In: T. Elsaesser ed. Early cinema: space, frame, narrative. London: BFI, pp. 56-62. Gunning, T., 2003. Re-newing old technologies: astonishment, second nature, and the uncanny in technology from the previous turn-of-the-century. In: D. Thorburn, H. Jenkins & B. Seawell eds. Rethinking media change: the aesthetics of transition. Cambridge, Mass. ; London: MIT Press, pp. 39-60. Hills, M., 2002. Fan cultures London; New York: Routledge. Jancovich, M., Faire, L. & Stubbings, S., 2003. The place of the audience: cultural geographies of film consumption. London: British Film Institute. Jenkins, H., 1992. Textual poachers: television fans & participatory culture New York: Routledge. Jenkins, H., 2004. The cultural logic of media convergence. International Journal of Cultural Studies, 7(1), pp. 33-43. Jenkins, H., 2006. Fans, bloggers, and gamers: exploring participatory culture. New York: New York University Press. Journey into Fear, Stan Douglas (2002). 16mm film installation. Keathley, C., 2006. Cinephilia and history, or, the wind in the trees. Bloomington: Indiana University Press. Lancaster, K., 2001. Interacting with Babylon 5: fan performance in a media universe. 1st ed. Austin: University of Texas Press. Lonely Ballet (Gudan balei 孤单芭蕾), 2008. Directed by Anonymous. Mayne, J., 1993. Cinema and spectatorship. London ; New York: Routledge. Mcdonough, T., 2009. Production/projection: notes on the capitalist fairy tale. In: S.D.a.C. Eamon ed. The art of projection. Ostfildern: Hatje Cantz, pp. 124-140. Moran, J.M., 2002. There’s no place like home video. Minneapolis: University of Minnesota Press. Novero, C., 2010. Antidiets of the avant-garde from futurist cooking to eat art. Minneapolis: University of Minnesota Press. Pethő, Á., 2011. Cinema and intermediality: the passion for the in-between. Newcastle upon Tyne: Cambridge Scholars. Rodowick, D., 2007. The virtual life of film. Cambridge, Massachusetts: Harvard University Press. Shaw, J. and Weibel, P. eds. 2003. Future cinema – the cinematic imaginary after film. Karlsruhe; Cambridge, Massachusetts: ZKM and MIT Press. Sobchack, V., 1999. Nostalgia for a digital object: regrets on the quickening of Quicktime. Millenium Film Journal, 34 unpaginated. Stiegler, B., 2011. Technics and time, 3: cinematic time and the question of malaise. Stanford, Calif.: Stanford University Press. Straw, W., 2000. Proliferating screens. Screen, 40:(1), pp. 115-119. 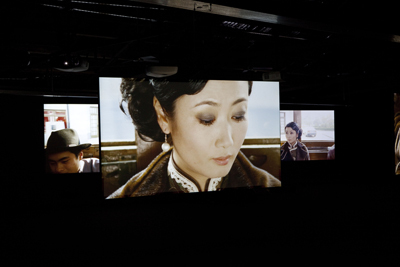 Ten Thousand Waves, Isaac Julien (2011) Nine-screen projection, colour 35mm, transferred to High Definition, 9.2 surround sound, 49 mins 41 secs. Tango On The Fingers, 2006. Directed by Kftoe. Voci, P., 2010. 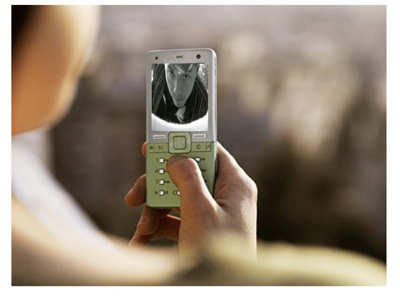 China on video: Smaller-screen realities London and New York: Routledge. Recent examples of scholarship that points out cinema’s centrality include: Francesco Casetti’s Eye of the century: film, experience, modernity; D. N. Rodowick’s The Virtual Life of Film (Rodowick, 2007); Bernard Stiegler’s Technics and Time 3: Cinema and Malaise. The uncanny has also been used in different contexts (most famously by Sigmund Freud), both within and beyond film studies. In this essay, we are not interested in the cognitive dissonances associated to Freud’s psychoanaltical discussion of the uncanny, nor are we concerned with Lawrence Weschler’s uncanny as a methodological strategy to uncover narrative convergences. More specifically, we use the uncanny to describe a cinematic experience that is both unfamiliar, non-canonical, and individual (and the reference here is to Keathley’s cinephiliac moment ) and yet evokes a certain degree of familiarity because it intensely evokes the old medium of cinema (the reference here is to Gunning’s study on the renewal of old technologies ). McDonough (2008) uses the term “cinematographic turn”. 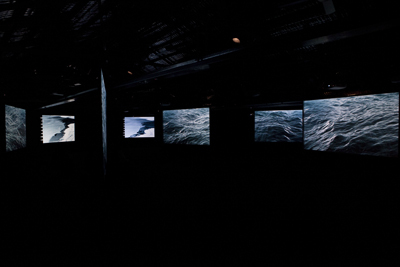 Ten Thousand Waves premiered at the Sydney Biennale 12 May-1 August 2010 then was shown at ShanghART Gallery, Shanghai 21 May-20 June 2010 in the same nine screen format. It was shown as a three screen installation in Moscow, at the 4th Moscow Biennale 22 September – 30 October 2011and Korea 28 April – 17 July. It was also re-edited as a single screen film for the 2010 Venice Film Festival and titled Better Life, the same film was shown at the 8th Shanghai Biennale 24 October 24 – 28 February 2011. Isaac Julien, unpublished interview with Catherine Fowler 29 June 2011. Isaac Julien, unpublished interview with Catherine Fowler, 29 June 2011. While portable movies have been also produced by renown video artists and professional filmmakers (and given the more direct belonging to film culture, their works have received scholarly examinations), the focus here is on amateur practices – which have been not recognized as an object of inquiry of either art or film studies. For an in-depth discussion of lightness in the context of Chinese smaller-screen realities, see Voci’s China on Video. A discussion of how “intensive” has been theorized by Gilles Deleuze as inherently transcendental (in other words, the intensive cannot be divided without being radically transformed into something else) and the subsequent elaboration with Guattari of ‘the intensive’ as what ‘exists’ between the virtual or the actual (which both, rather, ‘insist’), is beyond the scope of this essay. However, in referring to ‘intense’ encounters with cinema, we do share some of Sobchack’s reflections on Quicktime movies’s intensity (Sobchack, 1999). For an in-depth discussion of Sobchack’s essay, see Eu Jin Chua’s essay in this special issue. The rational for the selection of these (Chinese) movies out of many other movies (both Chinese and non) that could have been equally relevant to our discussion points to a deeper methodological issue, which is discussed in greater depth in Voci 2010, pp. 85-88. “In an environment where there is no critical consensus about quality (e.g., who the leading auteurs are and which aesthetic choices are the most innovative), and in which audiences cannot be quantitatively measured” we need to acknowledge “both the unavoidable degree of randomness and the subjective pleasure involved in this selection” (p. 87). The selection of some specific examples is a necessary step towards a better understanding of these movies as cinematic. Kftoe is a cinephile himself, who, in his words, makes cellflix to capture the aesthetic beauty of simple acts. (See an interview with Kftoe, discussed in Voci 2010, p. 93). The 2008 Metroer competition was dedicated to Ingmar Bergman, who would have been 90 years old in 2008. For Keathley, the cinephiliac moment has an unrecognized but crucial role to play in film theory and criticism. First, it is ontologically important, as it has been at the core of theorizations of the indexicality of cinema; the cinephiliac moment is when “the experience of the real is felt most intensely or magically”(2006, p. 37). Second, it is historically important as the “cinephiliac anedocte” challenges film historiography, its dominant articulations and its canons, by pointing to personal memory, to the intuitive, and the uncanny as ways to critically interpret cinema: “Much film theory and history of the past twenty-five years has been preoccupied with articulating and exposing the means by which dominant narrative cinema creates a world of drama, adventure, and enchantment that we can step into and lose ourselves in. The cinephiliac anecdote, by contrast, seeks to illuminate the ways in which movies –especially moments from movies—displace themselves out of their original contexts and step into our lives.” (p. 152, emphasis added). Whilst we explore the brief, momentary attachment in this essay we also want to note that the locations in which we encounter our examples offer the opportunity for viewers to spend more time with them than one might when viewing in the movie theatre. In the art gallery (or biennial) visitors could spend whole days with single works; similarly one might download and re-view portable movies an infinite number of times. However, we would argue that even so engagement still occurs through brief moments even if those moments recur across hours, days or longer. See Will Straw (2000) for a discussion of the difficulty of talking about cinema now that the boundaries between film and television, video and celluloid have softened. In this short essay Straw anticipates more recent work by D. N. Rodowick and Francesco Casetti. Note: this notion is engaged with in Karen Beeler’s essay in this issue. Although, as Casetti argues, we may do more with cinema once it is on other screens. See also Bennett and Brown; Klinger; Jenkins; Casetti; et al. In referring to the invention of the cinématographe, André Gaudreault (2006) points out, “[t]he moment when the ‘basic device’ was invented was certainly a turning point in the evolution of moving picture camera technology, but we have to ask ourselves if the emergence of that technology was accompanied by the passage to a new paradigm, to a new order” (p. 87). He notes, “[t]he question we must ask in this respect is whether the relatively sudden availability of a new technology revolutionizes behaviour, transforms the cultural landscape, sets significant mutations in motion and makes it possible to pass on to a new cultural, artistic and media order” (ibid.). He also remarks, “the fundamental point of rupture in film history was not the invention of the moving picture camera in the 1890s (the Kinetograph, the Cinématographe) but rather the constitution of the institution ‘cinema’ in the 1910s” (p. 99). We are aware that by describing our act of vision as mostly upward (in the case of the art gallery) or downward direct, (in the case of portable movies) we are not fully taking into account the mutliple directions in which we can watch the moving images. While our examples are still located in a 2D context mostly dominated by horizontal and vertical gazes, 3D films, other 360 degree immersive screening spaces (such as those described by D’Aloia in his essay), and the new developments in augmented reality technology all contribute to a transformation of our field of vision into a more circular experience. “I see the 1895-1929 period as one of the constitution of an Institutional Mode of representation (hereinafter IMR) which, for fifty years, has been explicitly taught in film schools as the Language of Cinema, and which, whoever we are, we all internalize at an early age as a reading competence” (Burch and Brewster 1990, p. 2). We should note that when we describe “our remembrances, . . .” we mostly refer to the generations of people who have lived with the cinema and experienced it as “the eye of the century”(Casetti, 2008); however we also include those younger generations who find out about it, discover it all over again and develop their own memory of cinema. In analysing Walter Benjamin’s short fictional piece “Café-Créme”, Cecilia Novero (2010) argues that Benjamin also offers a dialectical reading of Proust’s “madeleine”, which – like our moment – evokes but does not recreate the past (in fact, it points to its loss). Benjamin stresses “play” and “lightness”, in the pursuit of a “Now-Time” that breaks with historical necessity and finds new “attachments” in and through the past. Novero notes that whereas Proust focuses on regaining intact the experience of the past, Benjamin underscores the loss of the past. Novero shows how Benjamin’s distorted incorporation in his text of Proust’s madeleine speaks at one and the same time of the loss of Proust’s madeleine and conjures it up in a fully new (public) space: the Parisian Café described as a space of “concave, distorting mirrors” (121).